Harry Berlin (84) has been visiting a Upper West Side JASA senior center located on 76th street for the last five years . From Midtown East, Berlin uses two MTA buses for his commute to the senior center. Monica Bartley is a Brooklyn resident, the community outreach organizer for Center for Independence of the Disabled, and a wheelchair user who often takes buses to get around the city. She recounted how over a year ago she had gone out with some friends to Manhattan and tried to take the same bus back into Brooklyn. Bartley waited for the B39 for a while. However, during the weekend, service ends early for that bus. She tried to call an Access-A-Ride cab that would accommodate her wheelchair, but was told that those cabs have to be booked in advance. She couldn’t just call and get one on demand like taxi. And she didn’t see taxis that could accommodate her chair, since it isn’t a foldable one. Bartley is one of the over 800,000 New Yorkers living with a physical or cognitive disability according to a 2016 report from Brick Underground. Many people who can’t walk around on their own are able to travel and live independently. But, their public transportation options are very limited. And buses play a critical role. Bartley and many other wheelchair-using city residents can’t rely on the subway to get around. Fewer than 25 percent of subway stations have functioning elevators. “Access Denied,” a 2017 report from TransitCenter, highlights how, out of the 472 subway stations throughout the city, only 110 are wheelchair accessible. This makes it harder for the 10 percent of New York that has a disability, and also for the 13 percent that is above the age of 65. That latter population is expected to increase be 15.5 percent or 1.4 million residents by 2030. Not every resident above the age of 65 has mobility issues, but many do. 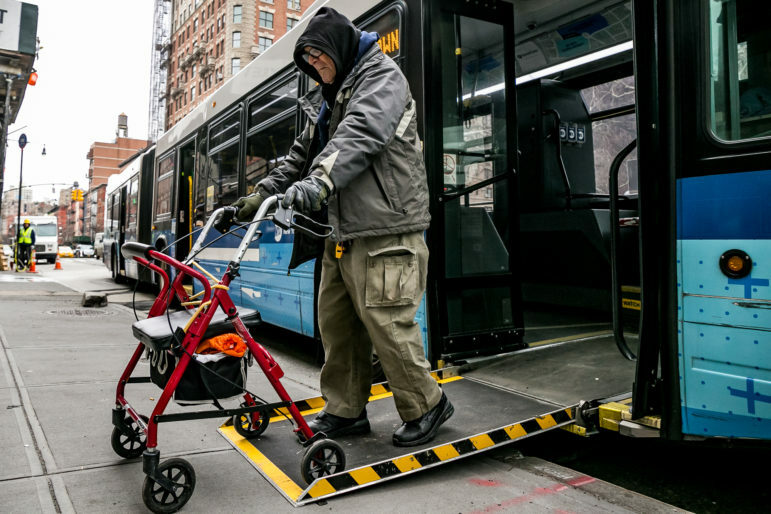 New York City Transit buses are supposed to be entirely wheelchair accessible, but when they are delayed, or when scheduling or route changes leave some neighborhoods underserved by buses, physically impaired New Yorkers and the elderly are often left with little or no options. And when buses do arrive but are overcrowded, it makes it harder for commuters with wheelchairs or walkers to fit inside. Bartley said that because so many subway stations are inaccessible to her, going to work, attending events, or hanging out with friends can be a headache. She said that she can’t take Access-A-Ride to events since it isn’t reliable for her, and sometimes comes too early or too late. She uses it to get to work unless she’s running late, when she uses public transportation instead. Since she has to take several buses to get anywhere, she oftentimes has to leave her home very early or leave an event earlier than she’d like to. Bartley says that if local buses ran on time and if Select Bus Service was expanded, commuting would be much easier for her. Elected officials who have called for better transit are also speaking up about how a shortage of reliable bus routes is affecting New York’s most vulnerable residents. City Councilmember and Chair of the Transportation Committee, Ydanis Rodriguez held a press conference and rally on the steps of City Hall on February 14. He was joined by Councilmember Carlos Menchaca and representatives from transit advocate groups Rider’s Alliance and TransitCenter. “We can turn our bus system into an above-the-ground train system. It should be efficient. It should be safe,” said Rodriguez during the rally. “It shouldn’t take someone who lives in Far Rockaway an hour-and-a-half to come here to Manhattan because the lights are not synchronized,” or miss necessary medical appointments because the buses run late. He noted that elderly and disabled commuters can’t just walk to the next stop or pick and choose how to get around the city. He said he was especially worried that elderly and disabled residents would have difficulties traveling around the city whenever snow piles up. Bartley herself has had difficulties using buses to get around after bad weather. Snow is shoveled to the end of the sidewalk, so buses can’t lower the wheelchair lifts onto the sidewalk. She remembered how not too long ago, several buses left her waiting near Union Square because bus drivers couldn’t work the lift due to all of the snow. The third driver had to pull away and see if there was enough space for Bartley to get on. Bartley and advocates want city officials to make snow cleanup around buses a priority, and also to consider more bus shelters so that there isn’t as much snow piled up around bus stops and so that elderly and disabled commuters aren’t exposed to bad weather. At the rally, Rodriguez and the transit advocates called for Mayor de Blasio to become the “bus mayor” and panned de Blasio’s 2018 State of the City address. The mayor hardly mentioned public transportation and disabled access during that 70-minute address. Rodriguqez and other advocates had hoped for more details about how the city is going to make commuting better for vulnerable New Yorkers. While the MTA is controlled by the governor, the bus system is one area where local government—through its control of streetspace and traffic signals—can wield important influence. The Access Denied study from TransitCenter reports that though Boston and Chicago’s transit systems are over a century old, just like New York’s, “they have more than twice the station accessibility…71 percent of Boston’s subway stations and 69 percent of Chicago’s rail stations have been made accessible. 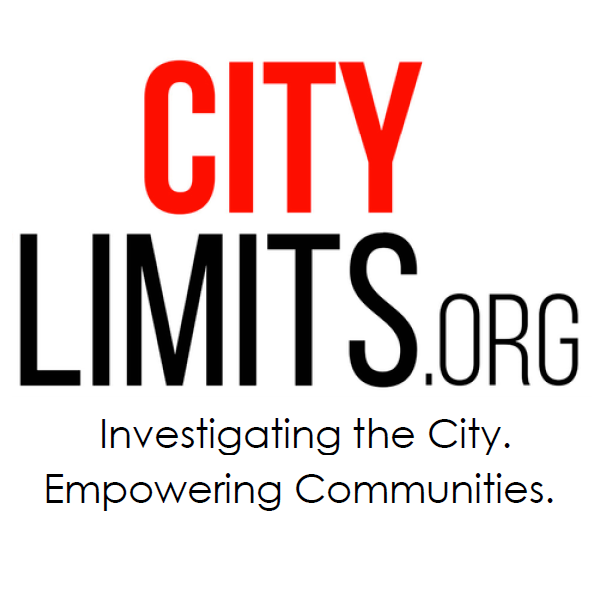 Both cities have concrete plans to reach 100 percent accessibility. A disability travel site describes both Boston’s bus and rail system as very accessible. The city is given 22 out of 25 points for accessability, and both buses and trains use ramps to make it easier for commuters with mobility issues and wheelchairs to get on and off. It’s not just people with mobility impairments who are affected. Other forms of disability also exacerbate the impact of a sub-par bus system. Tamara Molina, a Manhattan resident, frequently posts on social media about her difficulties with slow buses in both Manhattan and the Bronx. Her 15-year-old son has autism and has had difficulties commuting, especially when dealing with wait-times and over-crowded buses, since it’s hard for him to understand why buses may not be working correctly. Molina wants the MTA to work harder to accommodate the elderly and disabled New Yorkers. She suggests better shelters at stops and even a separate boarding line that would give older and disabled commuters a way to get into buses first. Bartley agrees that the MTA and Department of Transportation should work harder with advocacy groups and other agencies to ensure that all residents regardless of age or physical ability can have steady access to the city’s buses and subway stations. The Center for Independence of the Disabled filed a lawsuit against the MTA in 2017 with several other disability advocates over ongoing inadequate access to public transit. Research assistance by Rolando Cruz. Over-the-road express buses in NYC are often impossible to board in a wheelchair unless we can instruct the drivers what to do. Why aren’t the drivers regularly trained? And why are the bus designs and maintenance so poor that the lifts or moveable seats do not work? Senior Citizens also have probkems with express busses, since the stops are so far apart. One solution is to make the busses express only during rush hours, leaving them local the rest if the time. The 2010 reduction if service made a hardship for many.